He is very confident in his powers and doesn’t believe anything can drag him down, he is also open and expressive with everyone. The Dragon man is very reserved and composed. In the Chinese mythology this creature is the yang energy. It has strength and it represents all the Emperors, so expect people to respect its natives all the time. This man can act instinctively and in a very powerful manner, intimidating those around him. But he is only rough around the edges, otherwise showing incredible creative power and an empathy that is rarely found. Perfect partner: Someone who will accept how possessive he is. He knows what loyalty represents and is truly devoted to his friends. Charismatic and magnetic, many people will envy him. The Dragon man expresses himself sexually because this is how he thinks his freedom is being gained. As a matter of fact, he’s the most expressive and open person in the Chinese zodiac. He thinks it’s difficult to find true love and has a huge ego that can never be happy Out of all his admirers, only a few are his true friends. This man believes nothing can bring him down and no one can scam or deceive him. This may be true especially from a physical point of view because he’s well-built and has an endurance that can’t be seen in other people. But sentimentally, he’s very sensitive and has strong emotions for those he loves the most. Usually an enjoyable company, he can get really angry when things don’t go his way or he’s being crossed. It’s normal for him to hold a grudge and to never forgive those who have done him any wrong. He’s attractive and has something aristocratic in the way he carries himself around because he’s tall, has broad shoulders and lean muscles. He’s not selfish, but he definitely needs to have his ego stroked. It can’t be said he’s discrete and that he doesn’t want all the attention to be on him because he likes others to know how self-sufficient and capable he is. It wouldn’t matter where he’s going, he will want to have the spotlight on him, which means that he can be a little bit unfair and too demanding. It’s simply impossible for this man to just sit in the back-seat and enjoy the ride because he wants to express his talents and to be the first at everything. The Dragon man likes his ego to be fed, so he brags about his achievements and even with what he hasn’t done as he can be very convinced that his white lies are completely true. When he feels like he isn’t respected enough, he can turn into this vengeful and despotic person with whom no one can deal anymore. In times of crisis and big pressure, he’s always energetic and capable to come up with great solutions. That’s why many people like having him around. But his friends should remember that he needs to be first all the time and also that he can get very jealous, allowing possessiveness to take over. Obviously, inside he’s less confident than he actually seems on the outside. But in order to see this about him, you need to get to know this man very well, which can be very difficult. The Dragon in mythology breathes fire, but he’s more about smoke than about flames, so he shouldn’t be taken too seriously. Just like all the other energetic signs in the Chinese zodiac, he’s restless and always looking for something better and new. But he can be contradicting because at the same time he’s looking for stability and wants a comfortable home. One must remember that he needs to always be in charge, so having him in your life requires letting him lead. The Dragon man can be proud of himself when it’s not the case, which also makes him arrogant. He tends to overestimate his talents and can’t accept to be criticized or contradicted. Usually religious and believing in what he wants, he simply avoids the opinions that contradict his own. He won’t admit when being wrong and is not at all aware of his defects. Giving himself a lot of importance and having an air of superiority, he doesn’t even bother to listen when others try to convince him of something. Expect him to be domineering and to want to have control over each conversation that you two may have. There’s no wonder it’s difficult for him to have many friends for longer periods of time, people in his life seeing him in a bad light sometimes, and even showing signs of hostility towards his bragging. It may seem like there are no limits to his narcissism. Wanting to be successful, he doesn’t even bother with people, facts or situations that he thinks are not helping him in any way. Water Dragon 1952, 2012 Magnanimous, sentimental and persistent. 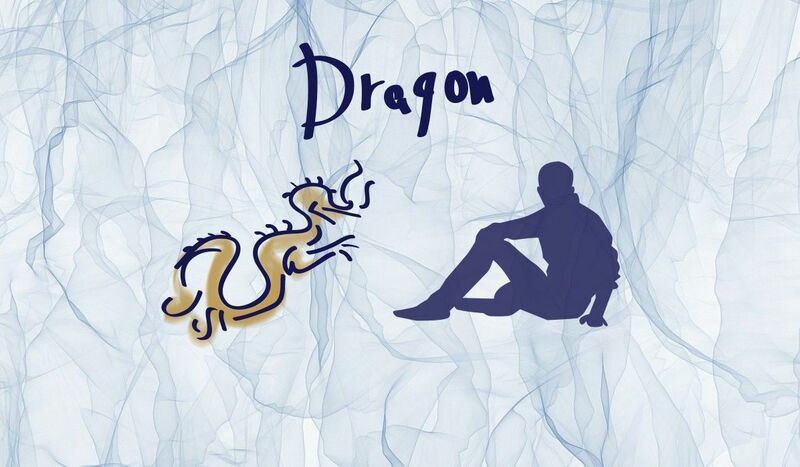 The Dragon man is known for his good hair, magnetic look and amazing eyelashes. His smile can conquer the heart of any woman and he’s alluring enough to have many admirers. He seems to always think about himself and to use the possessive pronouns too often. It’s because he’s obsessed with the image he projects in the world and wants to impress all the time. Most of the women in the life of this man will understand this about him, knowing that he in fact has a sweet side that could make any lady happy with his presence in her life. Dragons can brag with the fact that they’re sexually talented and that they can perform very well in bed. The problem here is that the man can start to think that he’s someone special, making it difficult for him to ever change his mind about this. So, if you want a Dragon in your life, go for those who can laugh at themselves and don’t think they’re the best you could ever have a chance to deal with. But you need to remember a man in this sign needs someone with great stamina and who’s firm. He will stay around for months or even years only around a woman who knows what she wants and is always ready to take on any challenge. If he would remain faithful or not depends only on you, so don’t get involved with him if you feel like you can’t take a powerful person. He’s all the time waiting to be recognized and identified as the leader, whether he deserves it or not. Always wanting to be in the center of attention and looking for approval, this man wants to be admired and demands a public for which he can perform. He’s known as very sensible when flattered, this being his main weakness. But don’t be fooled by the show he puts on because inside, he’s timid and very aware of his own faults. As a matter of fact, he’s terrified of making any mistake and knows that his own high demands can’t be reached that easily. He will always think people are not appreciating him at his real value. Many will consider him to be snobbish and they may be right. He’s very attracted by money, a high position and luxury, so he picks his friends according to how influential and rich they are. It would seem normal for him to marry out of interest. It’s also possible he will end up ruined because he’s so desperately trying to be rich. He can be very irascible and angry when provoked. Many will think of him as aggressive and violent, though he would never commit a crime, no matter how much he admires the world of bad boys. In the first stages of anger, he will very much resemble a Dragon breathing fire. People need to be careful around him in these moments, but they can be sure everything will pass fast and that he’ll forget all about his rage very fast. Don’t think he’s in any way mean or only interested in being the first. It would be better to get to know him better before concluding anything. If you believe he’s not at all modest, it’s because he thinks he’s superior and needs to prove this to himself and everyone else. He has authority and is at the same time charming, which can often bring him a high position at work. While thinking highly of himself, he still likes to listen to the wisdom of the elders. He’s arrogant just because he’s doubtful about himself in his own heart. His irritability is nothing but his reaction to the anxiety that is always present in his mind for it doesn’t matter how confident or strong he may seem, you can be sure he’s in fact terrified and not at all prepared for what the future has to bring. The Dragon man is very complex, which makes him difficult to understand. Just like the creature that represents him, he’s different from what he’s displaying and usually in contradiction with himself. He can be two different people at the same time, having a personality focusing only in his ego and another one preoccupied with intellectual interests and moral values.